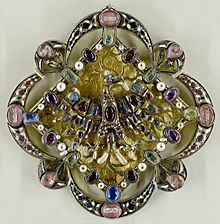 Jewelery (British English) or jewelry (American English) consists of small decorative items worn for personal adornment, such as brooches, rings, necklaces, earrings, pendants, bracelets, and cufflinks. Jewellery may be attached to the body or the clothes, and the term is restricted to durable ornaments, excluding flowers for example. For many centuries metal, often combined with gemstones, has been the normal material for jewellery, but other materials such as shells and other plant materials may be used. It is one of the oldest type of archaeological artefact – with 100,000-year-old beads made from Nassarius shells thought to be the oldest known jewellery. 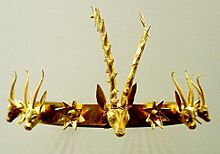 The basic forms of jewellery vary between cultures but are often extremely long-lived; in European cultures the most common forms of jewellery listed above have persisted since ancient times, while other forms such as adornments for the nose or ankle, important in other cultures, are much less common. 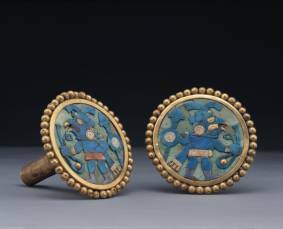 In most cultures jewellery can be understood as a status symbol, for its material properties, its patterns, or for meaningful symbols. Jewellery has been made to adorn nearly every body part, from hairpins to toe rings. 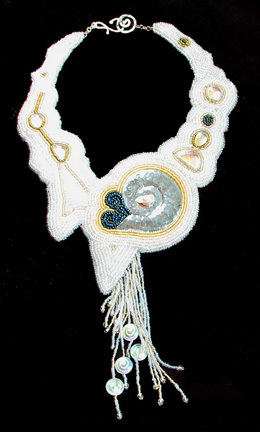 The patterns of wearing jewellery between the sexes, and by children and older people can vary greatly between cultures, but adult women have been the most consistent wearers of jewellery; in modern European culture the amount worn by adult males is relatively low compared with other cultures and other periods in European culture. 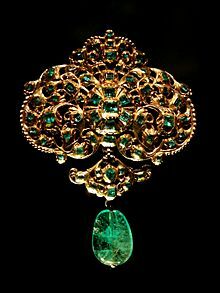 Most cultures at some point have had a practice of keeping large amounts of wealth stored in the form of jewellery. Numerous cultures store wedding dowries in the form of jewellery or make jewellery as a means to store or display coins. 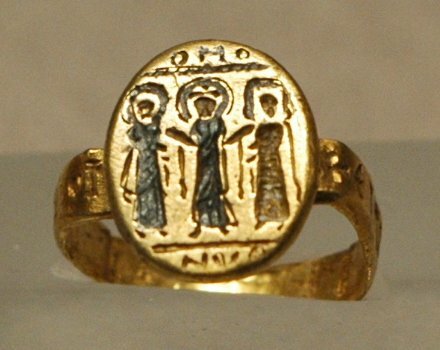 Alternatively, jewellery has been used as a currency or trade good. 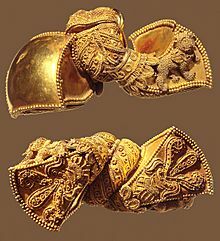 Pair of Gold Hair Ornaments, Mesopotamian, circa 2000 BC (Isin-larsa period). 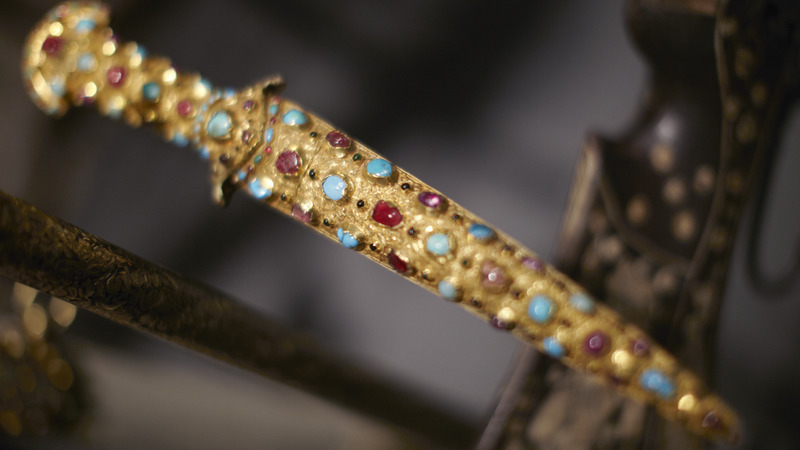 Decorated with granulation and cloisonné. Jewellery Facts for Kids. Kiddle Encyclopedia.